Update 5/10/15: The project has been re-launched. 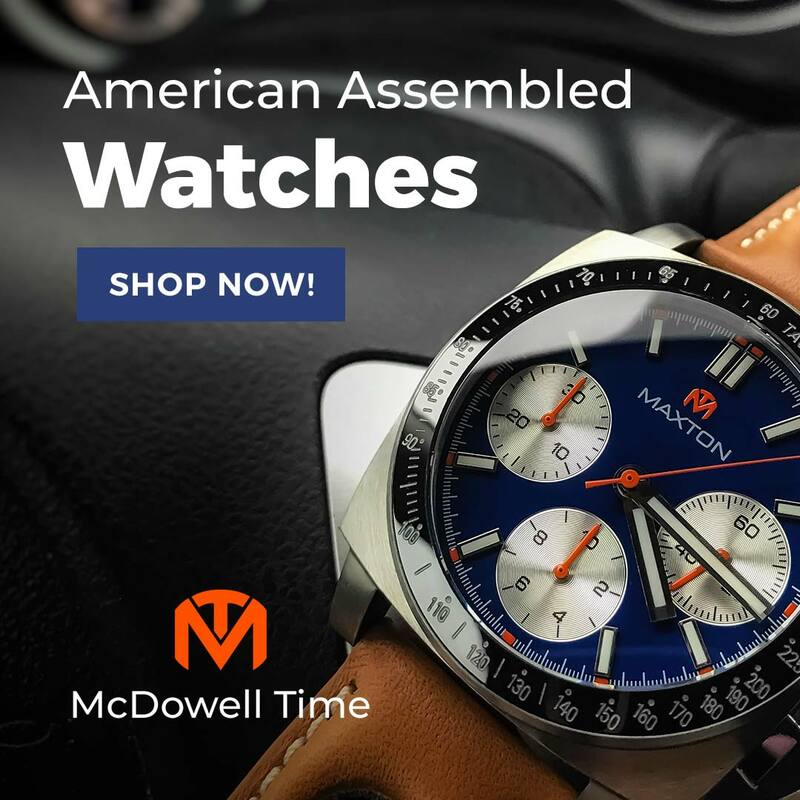 B7WC pared bracelet and strap options to just a simple two-piece nylon, the automatic now starts at $229, and a new quartz model is available with a Miyota 2s60 starting at just $139. Check out the new link here. 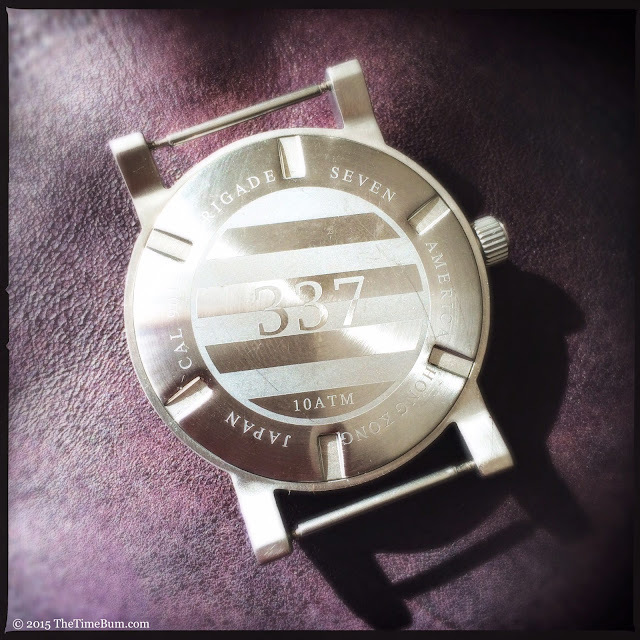 Kevin Keller of Brigade Seven Watch Company (B7WC) has just introduced the 337, a new tool watch available for pre-order on Kickstarter, and he kindly lent The Time Bum a prototype for review. 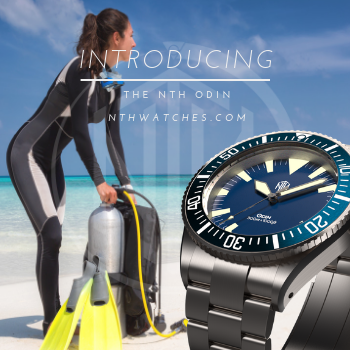 The watch has all the all the right specs: 100m water resistance, sapphire crystal, SuperLuminova, and a Miyota 9015 automatic movement. Of course, specs are only half the battle, and Keller knows this. 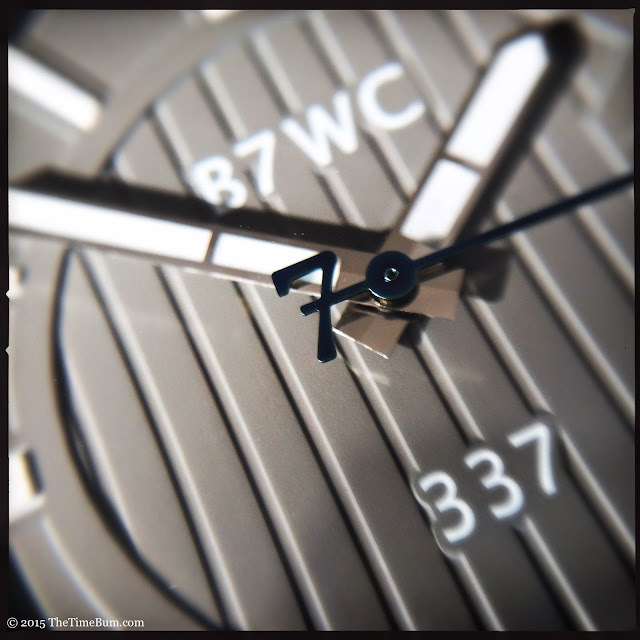 He previously floated the Scope, a watch with similar specs to the 337, but a very different look. 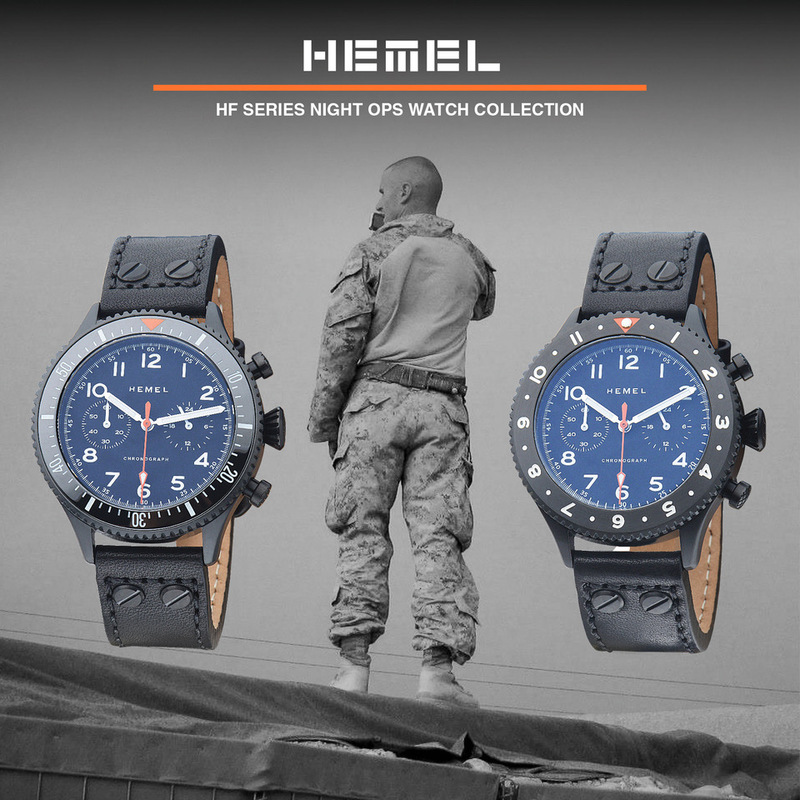 The first watch was styled after the crosshairs of a rifle scope (perhaps a bit too literally) and emblazoned with brushstroke script. It failed to fund. 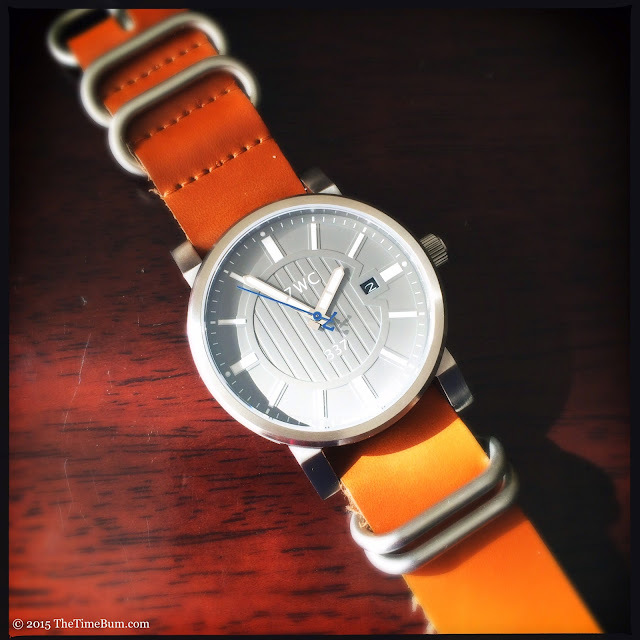 Undeterred, Keeler went back to the drawing board, cooked up a new watch, and nailed it. This one looks tough, smart, and razor sharp. Brigade Seven takes its name from the Seventh Armor Brigade of World War Two, "Desert Rats" fame. 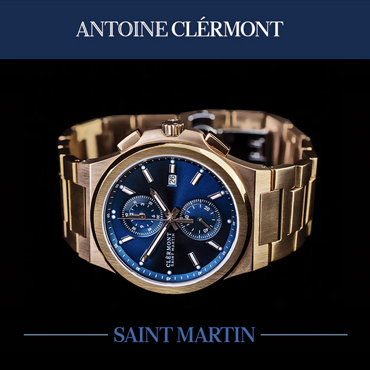 The watch adopts that hard-boiled heritage and translates it into a modern tool watch. 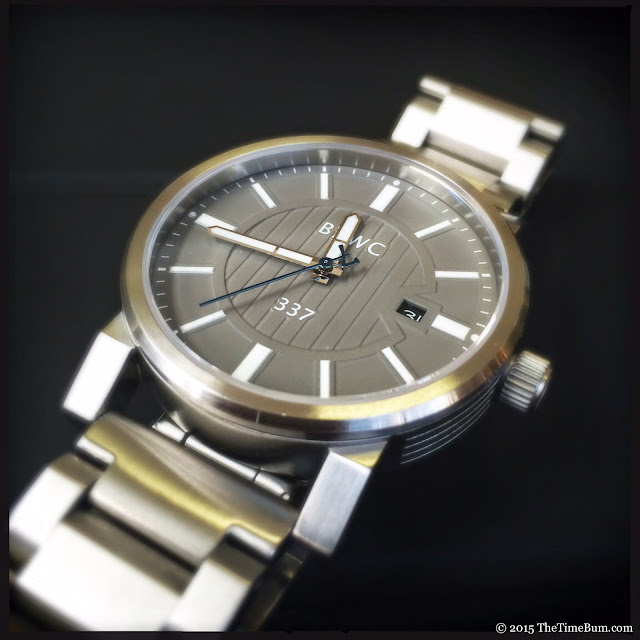 Three variants of the 337 are available: PVD black with a black dial, brushed stainless with black, and the brushed with grey version reviewed here. Pre-orders start at $299. Its engine is the smooth and reliable Miyota 9015, a 24 jewel, hacking and hand winding automatic with a 28.8k bph beat rate and a power reserve of over 40 hours. 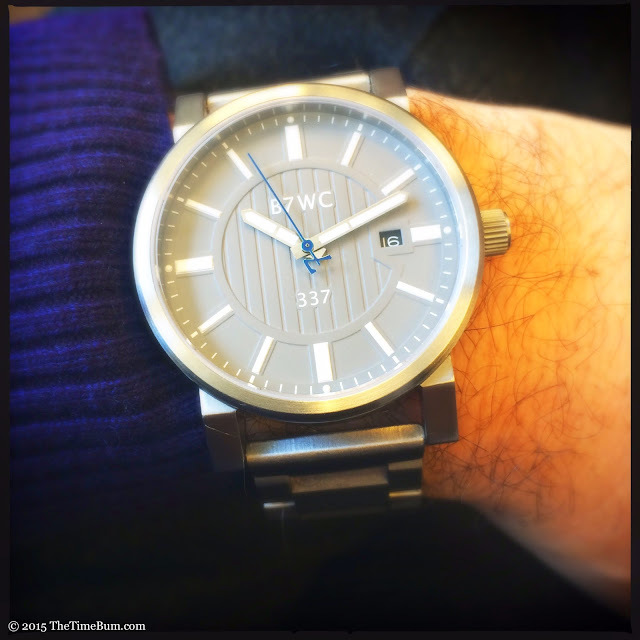 The 337's brushed stainless steel case is 42mm wide and 50mm long. It may be round, but there is nothing soft about it. Rather, sharp lines grab your eye: the four shallow channels cut into each side, the bezel's beveled edge, and the blocky, angled lugs. 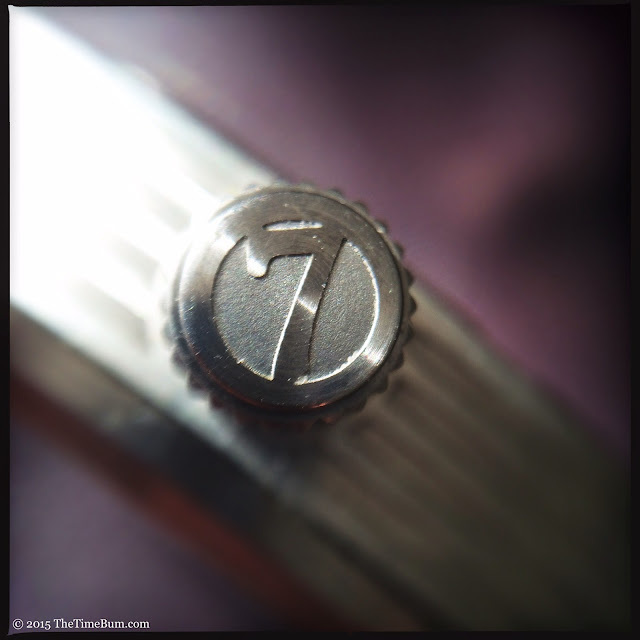 This linear motif is repeated on both the solid case back, and the center of the dial. At 4x6mm, the screw down crown is coin edged and appropriately large, making it easy to grip and operate. It also looks great, signed with a deep "7" cast into the surface, and flanked by those sharp channels. The dial is simple and clean. Raised rectangular markers with white lume stand in stark relief against the grey dial. Text is sparse, especially in comparison to the previous model, with only the abbreviated B7WC brand at the top and 337 at the bottom. Both are printed in an understated sans serif font. The hands are polished, lume filled pencils. The face is almost Spartan at first glance, but a closer look reveals a vertical texture embossed in the center section, contained by a raised ring that zig-zags around black 3 o'clock date window. Finally, a blue second hand adds a whimsical touch in the form of a "7" counterweight. Criticism? I wish the markers were taller. The relief is very shallow, making them appear printed. 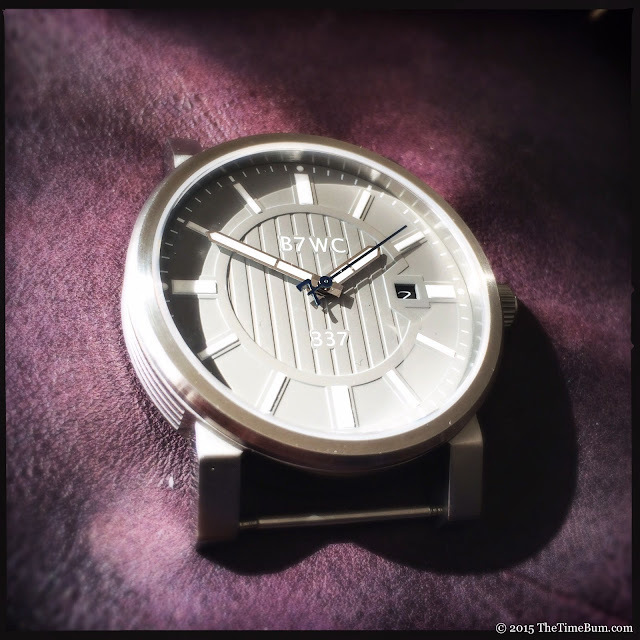 Still, it is a handsome dial, particularly in grey, as the lighter color better reveals the surface details and echos the cold tones in the surrounding steel. 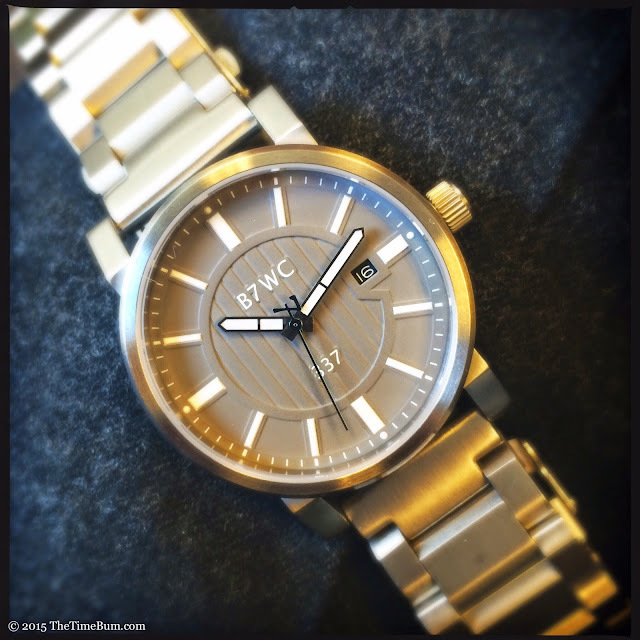 There is no question that this is a tool watch, but the 337 conveys its strength without relying on sheer mass. While the large dial makes the watch appear big, is actually a manageable size and at just over 10mm thick, surprisingly slim. 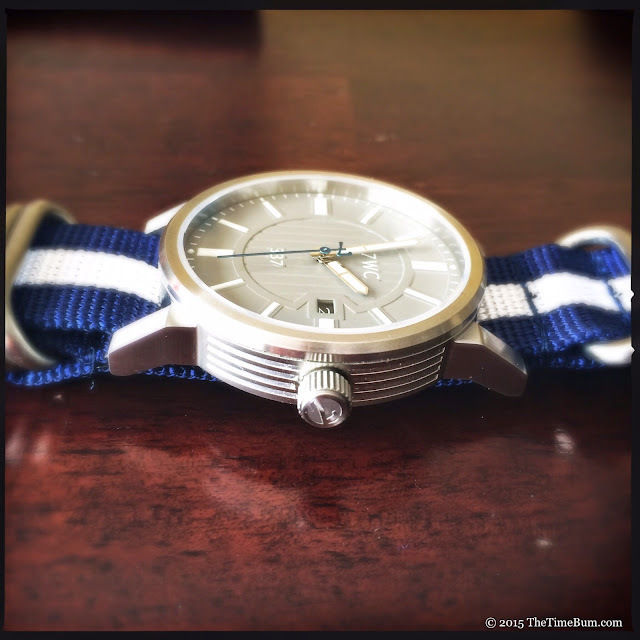 It was an easy fit on my smallish, 6.5" wrist and made its way under a shirt cuff without fuss. I would not recommend it for business formal, but it is an easy match for business/dress casual, and a natural with jeans. Prototypes are not finished products, and can't be evaluated as if they are, but I was impressed by the sample's quality. The case is cleanly finished without any unpleasantly sharp corners or edges. 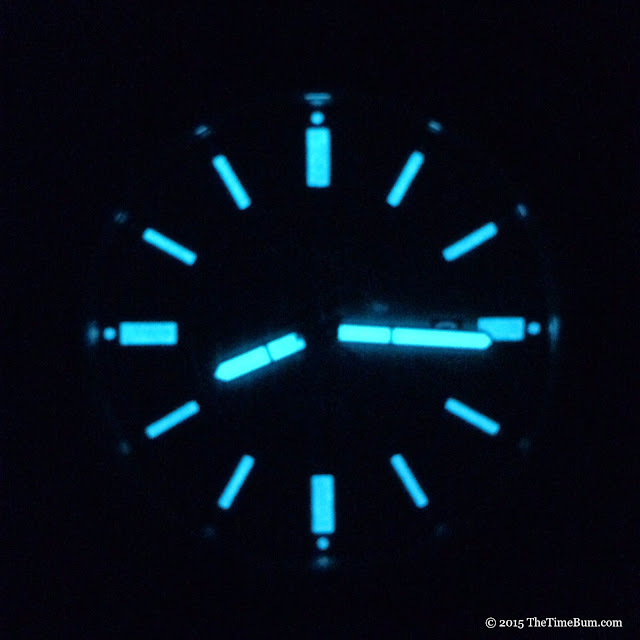 The embossing on the dial is crisp and the BGW9 lume glows like a torch. Keller informed me that the bracelet is a generic sample and, therefore, not entirely representative of the final product. He promises that quality will be improved on the final, but I liked what I saw. The bracelet is 22mm wide and does not taper. Its brushed H-links are more angular than most, and tie well with the case. All links are solid, including the straight ends, and secure with split pins. These aspects will not change. 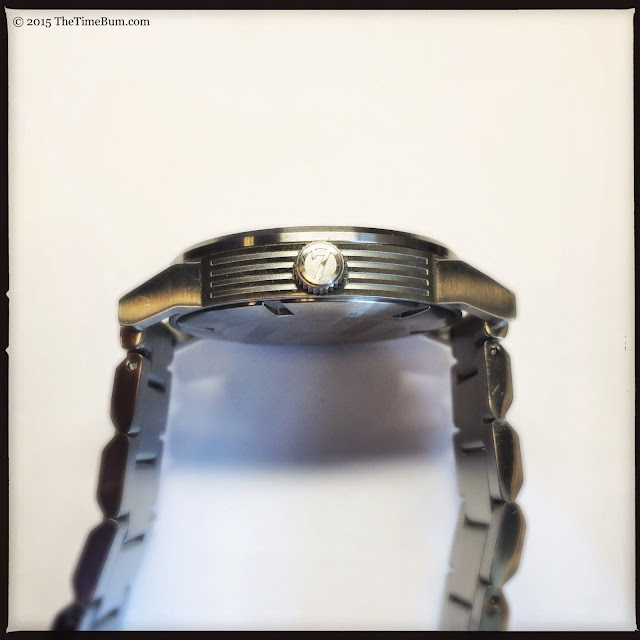 I usually prefer fitted end links, but the straight ends work on this watch. The way they meet the squared ends of the blocky lugs adds yet another linear element, underscoring the straight edged design. The only aspect I question is the polished finished on the sides. Every other part of the watch is brushed, so this reflective surface seems out of place.The production bracelet will include a signed double deployant clasp. Keller also plans to mark each link "B7WC" on the underside. I understand that may help reinforce the brand identity, but I really don't believe it adds value. 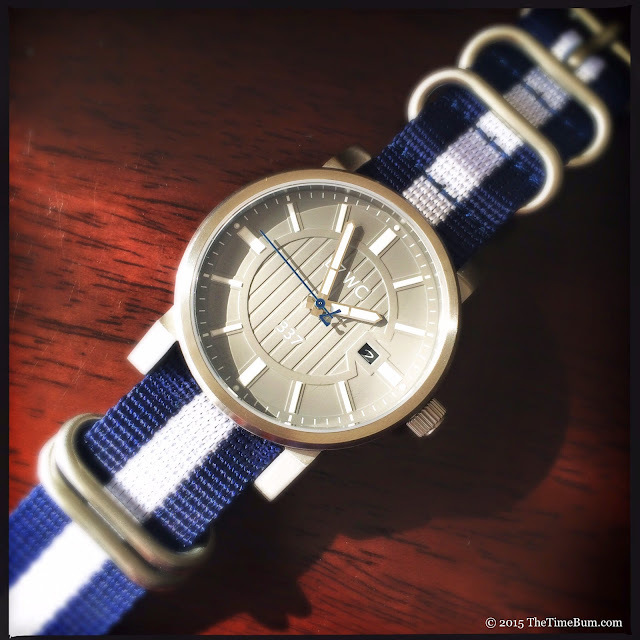 In addition to the bracelet, the sample shipped with two Zulus: a heavy nylon blue and white stripe that picked up the blue second hand, and a honey color leather that made for a nice contrast against the cool grey. I could easily envision this watch on a minimally stitched Horween strap or a padded "chrono" style with contrasting stitching. Overall, the 337 is a satisfying watch, delivering quality materials and a cohesive design in a solid, industrial unit. The expected list price is $600, but Kickstarter pre-orders start at $299, which is a solid value. See update above. Con: Shallow markers. Polished link sides don't fit the design. Sum: Rugged modern. The Time Bum approves.